As the warmth of spring continues to spread across Europe, thoughts of how one will spend their summer holidays are beginning to run through the minds of many, as many employers are beginning to request that their workers put in for their time off in the months ahead. Looking through the papers and online, you may have noticed some deals on flights to Fuerteventura, and this has gotten the wheels in your head turning. Being home to a wide selection of amazing beaches, Fureteventura allows people of all sorts to enjoy their time in the sun, no matter their interests. In the following paragraphs, we will play matchmaker between you, the sand craving public, and the best beaches in Fuerteventura. Let’s get started! 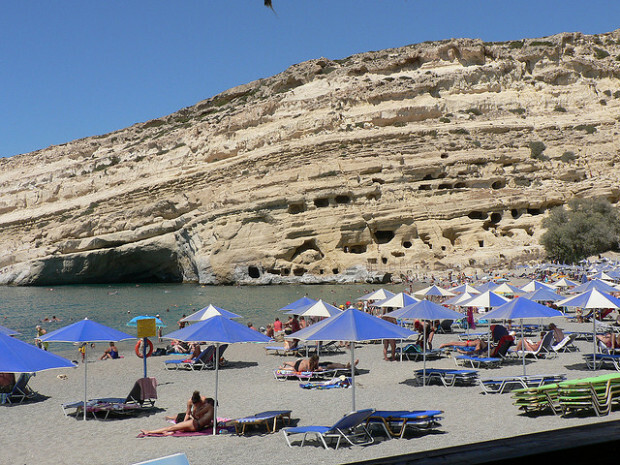 For those bringing along an entourage of little people on their holiday to Fuerteventura, basing your beach bumming activities along the sandy shores of Costa Calma is a sure way to ensure a happy holiday for all involved. The list of amenities is considerable, as restaurants, resorts, and stores containing supplies and provisions are all well within reach, and with 1.5 kilometers of wide sand available to spread a blanket and plant a sun umbrella, you’ll have plenty of room to enjoy the outstanding natural environment available here. Another point in Costa Calma’s favor is that its sheltered location knocks down wave heights (Fuerteventura is notorious for big swells), making it much safer for your kids to splash around here than anywhere else on the island. If solitude in the midst of awe-inspiring nature is what you seek from your Fuerteventura holiday, then taking a boat trek to the nearby island of Isla de Lobos will prove to be a fruitful endeavour. This isle is mostly an outcropping of volcanic rock in ocean off the main island, measuring a meek 4 square kilometers in size. But this place contains a delicious white sand beach, numerous tidal pools with a soft sandy bottom, and excellent opportunities for awesome snorkeling and diving adventures. All of this takes places far from the frenetic pace of the main tourist areas, making it a must for the traveling introvert. 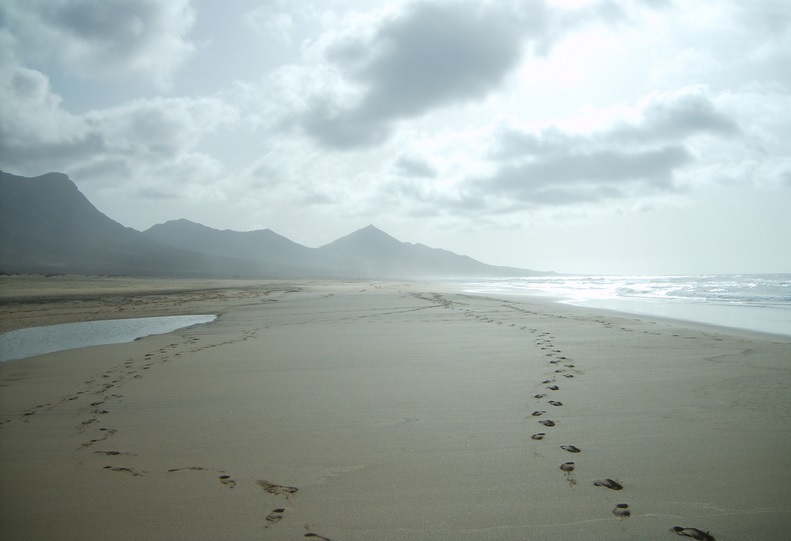 Couples seeking a romantic recharge after a hectic winter spent suffering in dismal weather and equally dismal workloads will find many secluded beaches on Fuerteventura. However, there is perhaps no beach quite as spectacular as Playa de El Cofete, which is difficult to access, as passage is only available via a rutted trail, but with tall mountains in the background, a wild ocean pounding upon the beach with unimaginable ferocity, and fewer people within sight than fingers on your hands, it is a voyage well worth it. Linger here and soak up the energy of this place, but don’t tell anybody else about this special beach … it’s our little secret! Tenerife holidays are dominated by one thing, and it’s not the sun, sea or the sand. While these are all important elements of a Canary Island getaway, it’s the majestic Mount Teide that looks down on every visitor to this sunsoaked destination. Thankfully for tourists and locals alike, this 12,000ft high shield volcano – Spain’s highest mountain – last erupted in 1909, but the evidence of its previous activity lies all around the island and it’s inevitable that you’ll come into contact with volcanic matter at some point during your holiday. If you’d like to book a holiday, this website has everything you need. Tenerife might be famed for its golden sandy beaches, but many of these were artificially made using sand imported from Africa. The most natural beaches on the island are the ones coloured black, which contain tiny fragments of lava from Mount Teide. Such beaches formed when red hot lava flows from Teide cooled rapidly upon meeting with sea water – shattering the lava into fine grains. One of the best on the island is the resort of Playa de la Arena on the west coast, and there are also attractive black sand beaches at Playa Socorro in the north and the remote Roque Bermejo, a tiny fishing village reachable only by foot or by boat, among others. If you tire of sunbathing, you can always take the opportunity to explore Europe’s biggest lava tube. Cueva del Viento-Sobrado (the Cave of the Winds), in the north-west of the island, features 17km of underground tunnels that were hollowed out by magma flowing beneath the surface of the island. Now the flows have stopped, visitors can walk inside the earth through these atmospheric lava tubes. Teide is also responsible for many of the fabulous plants you’ll see during your visit, which have thrived off the nutrient and mineral rich soil created by lava flows. As a result of the unique conditions present on the island, as well as its isolated position in the middle of the ocean, many of Teide’s plants are endemic to Tenerife, such as the Teide white broom, a type of bush with white flowers. Of course, all those minerals aren’t just good for plants. There are numerous spas dotted across Tenerife offering volcanic treatments so you can enjoy the benefits of Teide’s molten material. 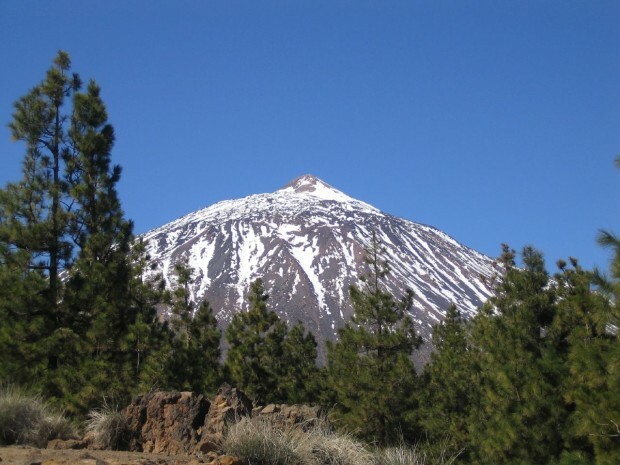 One of the most popular activities for holidaymakers is to take the trip to the very summit of Teide itself to enjoy the finest view in the Canaries. From the peak, you get a tremendous 360-degree panorama of the entire island, the ocean surrounding it and beyond to the other islands. There are many ways to reach the top, depending on your preference. You can drive to the car park and take a cable car up the last 1,200m to the upper station; you can apply for a permit and climb to the very summit (the last 200m are restricted); or you can set yourself a real challenge and cycle all the way from sea level to almost 8,000ft! As you can see, you really can’t escape Mount Teide on a holiday in Tenerife, but then why would you want to? With its great views, alluring black beaches and stunning wildlife, Teide will captivate you during your visit. Andalucian Spain is a hidden gem, a vibrant and fascinating region full of endless opportunities for a student educational travel adventure to explore rich culture, culinary arts, and historical heritage, alongside world-class adventure activities! 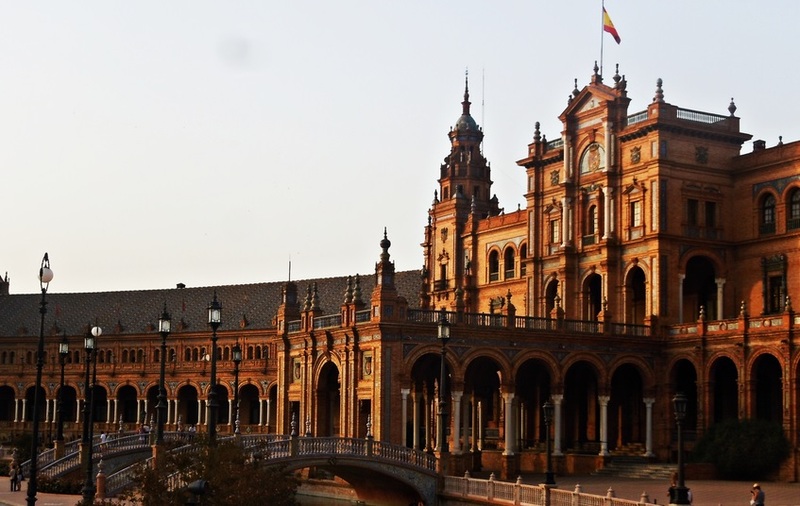 With so much to see and do, here are the 5 top reasons to visit Andalucia, Spain on an Eco-immersion student educational tours expedition that connects all the varied elements of biology, history and culture, leaving students with an in-depth understanding of this magical place. 1. Cuisine: The food in Andalucian Spain is truly a delight. Sample delicious Jamon Iberico & Jamon Serrano and find out the difference between the two. Try fantastic and varied tapas paired with local wines, and learn about the strong cultural traditions behind the regional foods. Fresh seafood, local produce, fantastic cheeses…a visit to Andalucia is a culinary feast! 2. History: Andalucia is a fascinating living history book. Its strategic geographic setting has made the area home to an incredible melting pot of cultures, a seat of shifting political power, a migration path of varied peoples, and the stage for struggles for dominance over thousands of years. From remains of Paleolithic cultures that lived in the caves at Nerja, to coastal Roman era-settlements, to the Moorish palaces and Catholic kingdoms, visitors can literally walk through history in Andalucia. 3. 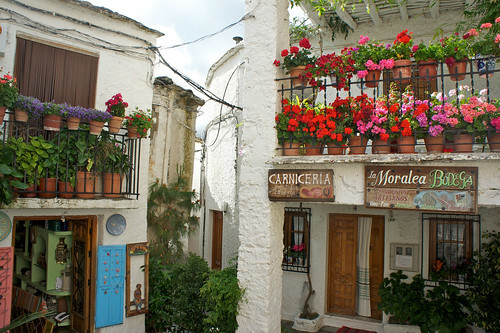 Culture: Andalucia is a treasure trove of rich culture traditions and blends. 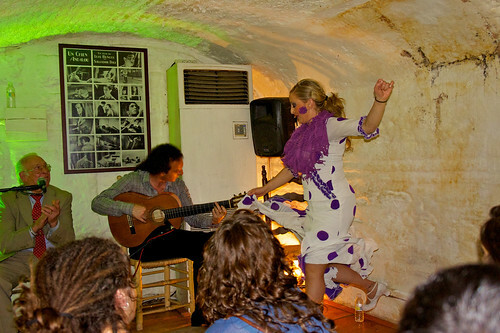 Enjoy a stunning Flamenco show in an underground bar or immerse yourself in village life with a homestay. Explore the hidden white villages tucked into the mountains, sunny coastal towns, and rich cultural centers such as Grenada, Cordoba, and Sevilla as you learn about how Muslim, Jewish, and Christian traditions shaped elements of each of these places. 4. Adventure: There is endless adventure to be found in Andalucia – from skiing in the Sierra Nevada, hiking through an amazing variety of climate and terrain, canyoning in stunning river gorges, enjoying a wide variety of water sports to exploring the famous Nerja caves. Your adventures exploring the natural beauty of Andalucia will help you get a sense of how geography and climate shaped the cultures here. 5. Relaxation: After exploring all the culinary, historical, cultural, and adventure options available in Andalucia, the best way to round out your vacation is with some sheer relaxation. Relaxing with a Café con leche at a local café, taking a dip in the calm Mediterranean, or getting into the laid back Spanish lifestyle (siesta, anyone? ), settling into the slower pace of life in Andalucia will leave you feeling refreshed and renewed after your expedition. 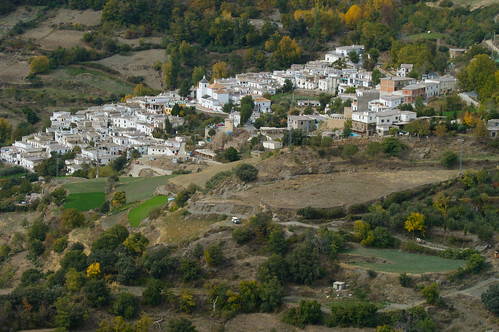 No matter what your travel style or expedition interest, Andalucia offers something for everyone! If you are looking for a life changing student educational travel adventure, dare to go beyond a vacation with an Eco-immersion adventure in Andalucian Spain!